When writer Robert B. Parker died in January of 2010, I was still a couple of weeks from launching this blog. Otherwise, I’d have been one of the many remembering Parker, who created tough-but-tender Boston P.I. Spenser in 1971’sThe Godwulf Manuscript. It was the beginning of a long-running series that revived detective fiction, linking the classic to the contemporary. Many of the affectionate tributes were from writers whom he’d influenced or journalists who had interviewed him over the years; everyone it seemed had a “Bob” story to share. I had one as well — he was the first big-name mystery writer I ever interviewed, back in 1983, at the annual book/publishing covention known then as the ABA for American Booksellers Association. 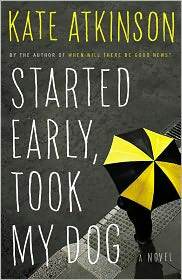 Now it’s BEA — BookExpo America — and it’s going on this week in New York City, and yes, I kind of miss it because it was an opportunity to meet writers whose books I admired and enjoyed. The 1983 ABA in Dallas was my first, and I couldn’t understand why there were only a couple of other reporters at Parker’s late afternoon press conference. For that matter, I was the only one asking real questions. Didn’t other people know who this guy was? They did, but unlike me, they knew to to arrange ahead of time for one-on-one interviews. There were a few more meetings and a lot more Spensers, as well as two more detective series (Jesse Stone, Sunny Randall), several westerns and historical novels –60 or so books in all. I just finished what I think is the last one, No. 39 in the Spenser series, Sixkill. It’s not great Spenser, but it’s pretty good, and much better than the few in the late middle that read as if Parker phoned them in. Hawk, Spenser’s laconic, violent sidekick, is in Singapore, alas, but Spenser still has long-time love Susan Silverman to cook for and banter with. And when police pal Quirk asks for help on a case, Spencer also begins training a new squire to his white knight. Zebulon Sixkill, “Z,” is the Cree Indian bodyguard to badass actor Jumbo Fisher, on location in Boston and the No.1 suspect in a girl’s death in his hotel room. Jumbo sics Z on nosy Spenser, who easily takes out the former football player/bouncer without real fighting skills. Jumbo fires Z, and Spenser steps in as his new mentor. Maybe Z will eventually tell him what really went down with the girl, but Spenser also sees the potential coil of controlled violence. Before long Z’s becoming a toughened warrior, and he’s got Spenser’s back when the mob comes calling. It’s too bad we won’t see more adventures with the new wingman, and way sad no more Spenser. Going to miss the snap-crackle-pop dialogue, the bullet-paced narratives, the moral compass that Spenser lived by. Parker died at his desk at age 77. Really miss him. I’ll probaby go back and reread some of the Spensers from time to time, and I saw the new Jesse Stone TV movie with Tom Selleck last night. Also, I’ve settled in with another old friend, Lawrence Block. His new Matthew Scudder — No. 17 — finds the ex-cop-turned P.I., recovering alcoholic looking back to his days on the job in the early ’70s and one case in particular. Equal parts loss and redemption, it’s aptly titled A Drop of the Hard Stuff. Recommended. 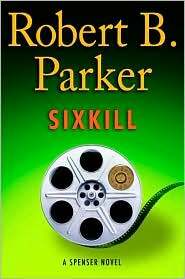 Open Book: I downloaded the e-book version of Robert B. Parker’s Sixkill (Penguin Group) to my nook. 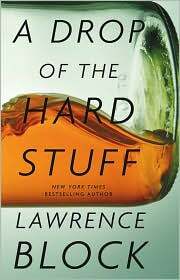 I’m reading a digital galley edition through NetGalley of Lawrence Block’s A Drop of the Hard Stuff (Little, Brown).